Angels of The Basin chronicles the history & way-of-life of one of America’s most fascinating cultures. The joyous music, melodic language, spicy cuisine & infectious joie de vivre typifies these hardworking people of the bayou. Their sunny demeanor masks their ancestral anguish, while environmental stress, political powerlessness and economic instability threaten to deny them their home & heritage. 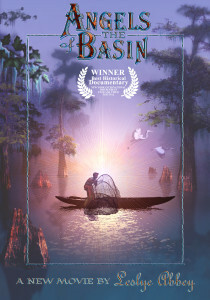 This documentary offers an intimate portrait of Louisiana’s Cajuns whose centuries-old legacy both defines & inspires their lives among moss-draped-cypress recesses of the Atchafalaya Basin.